Today's consumers are going digital. They live their lives differently, and they expect to engage differently. To reach them, it takes a new kind of customer experience. My:Time™ Customer Engagement for the Digital Consumer. Engage your customers at their convenience during every stage of the buyer journey. Meet them in their moments of need. Eliminate frustration. Earn their loyalty. Amy is shopping on your web site. She has some questions, but doesn't have time to scroll through FAQs and isn't in the mood to talk to a salesperson. Re-engage at the customer's convenience and re-capture the buying moment. Resume on a tablet or smartphone without losing context. Deliver and support a natural, multi-step buying process across devices, and over time. 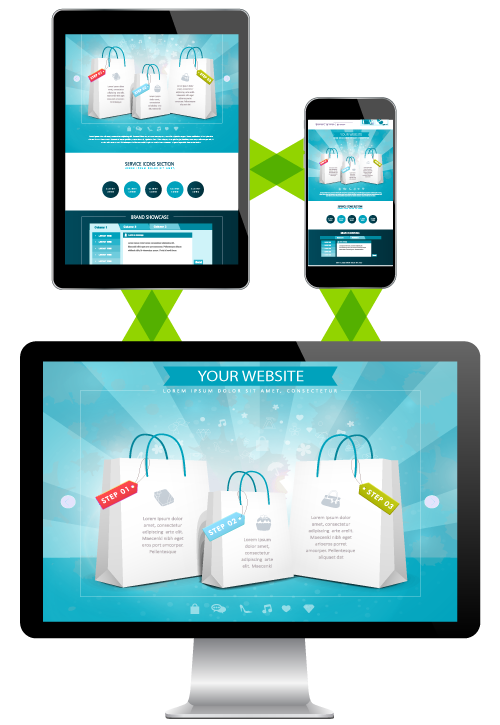 Increase conversions and reduce cart abandonment. Dave gets into a fender bender and stands fuming on the side of the road. 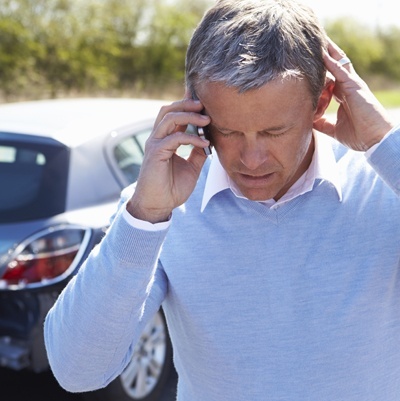 He calls your insurance claim center to report the accident, but all agents are busy. His patience is wearing thin. Engage in the critical moment through mobile self-service. Enhance communication with multi-modal messaging, including images and voice notes. Transition seamlessly to live agents if further assistance is needed. Boost customer satisfaction and loyalty while reducing transaction costs. Chris has been in a conversation with one of your customer service agents for the last ten minutes disputing a credit card charge. When his daughter asks him for help with her homework, he's afraid to stop before he has the dispute resolved. Start a conversation, stop for any reason, and resume any time it's convenient. Maintain complete interaction history that both customer and agent can see. Customers don't have to repeat themselves when they resume. 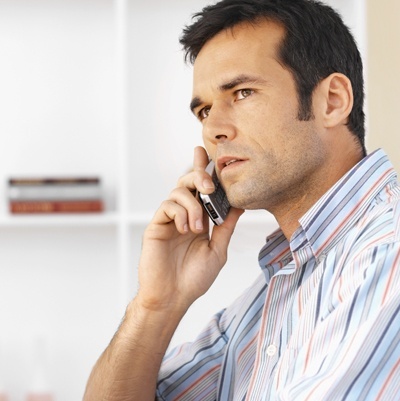 Reduce frustration, increase CSAT, minimize escalations, and reduce contact center costs. My:Time is a cloud-based solution that creates a new kind of customer experience for digital consumers. A Common Engagement Experience Across Devices. Add My:Time to your web site, mobile web, or smartphone self-service apps. 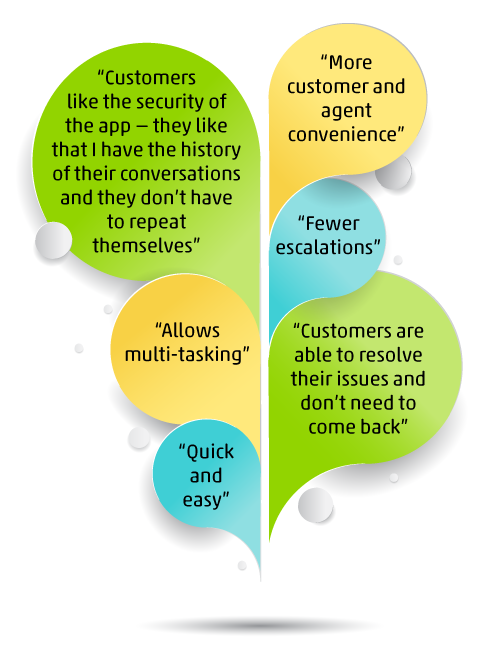 Leverage My:Time to extend your app's self-service capabilities and provide a seamless transition to live assistance. Provide a new, highly differentiated digital messaging experience that persists across devices and over time. 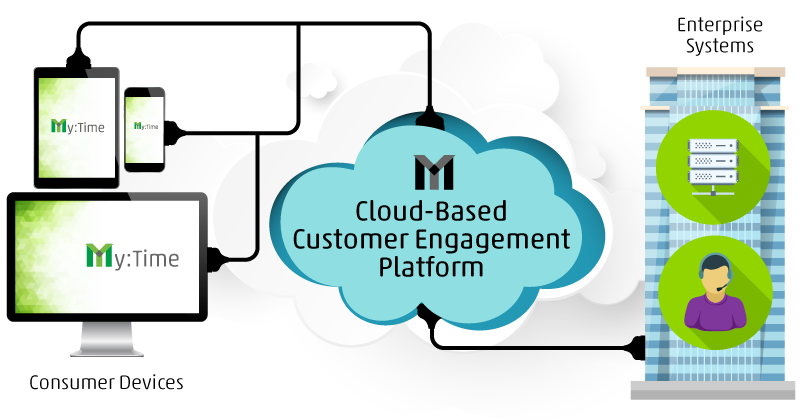 Integrate My:Time to your CRM and other systems to enable enhanced self-service and customer engagement. Start quickly with My:Time's own agent desktop environment, or integrate to your existing contact center agent desktop to maximize productivity. Driven by the Power of the My:Time Cloud. But it's the cloud that gives My:Time the power to create an entirely new customer experience that seamlessly crosses devices, channels, and time. Click here to learn more about the unique digital engagement features that define the My:Time experience. 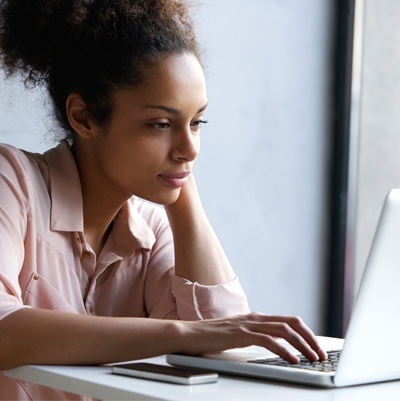 Transition effortlessly from self-service to live assistance, across any device, at any time. With My:Time, your customers could start shopping in your mobile app, then transition seamlessly to a live sales associate when they need assistance... all without leaving the app or interrupting their buying momentum. With My:Time, your customers could start an interaction on your web site with a laptop, stop for any reason, then pick up right where they left off on a smartphone or tablet... even if it's hours or days later. 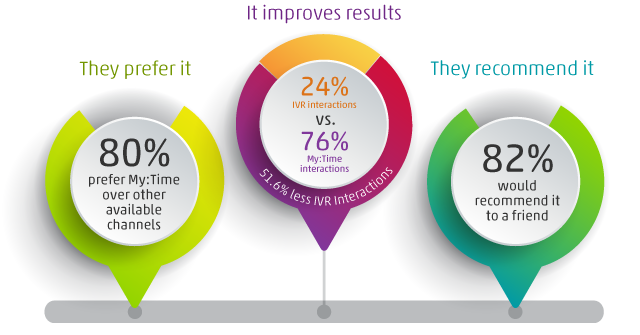 Consumers in live deployments have preferred My:Time over any other engagement channel. *Actual comments from agents who have used My:Time to engage with customers. How digital consumers want to engage. Get the scoop on My:Time features, benefits and architecture. Click one of the icons below to learn how My:Time has helped others engage differently, get better results, and get closer to their customers.